Should You Keep A Rooster In Your Flock? It is not easy being a chicken keeper and being employed at the same time. Doing both of these things can take most of a person`s free time and if one of them gets harder to do it may be a problem. Roosters in your flock can make chicken keeping both harder and easier for you as a chicken keeper – it usually depends on the purpose you have about the chicken keeping and how good you are at doing it. Roosters require attention and can be very aggressive but they are also protectors of the flock and are crucial in the process of egg hatching. So should you keep a rooster in your flock? We`ll help you decide. Why Should You Have A Rooster In Your Flock? Roosters are obligatory if you want eggs that can hatch- fertile eggs. The ratio rooster per hens goes usually 1-7+. If you have less than 7 hens in your flock per one rooster it may lead to the rooster hurting them due to his urges to mate. By having fertilized eggs in your flock it means that you can hatch them and get another batch of chicks for your flock or your dinner table – your choice. Roosters are great flock protectors and that is why you should keep a rooster in your flock. They will take the highest point in the pecking order and they will protect both the hens and the small chicks you have from predators. Other than dogs, many people consider roosters as the best guardians of poultry that you can keep. Roosters will fight to the death with any predator in order to keep his flock safe, the roosters will be also as loud as possible while doing that in order to notify their keepers of the upcoming threat. Roosters are the ones that will take the first step when trying out new food and notify the rest of the flock if they find it safe and tasty to eat. If you enjoy giving your chickens different kinds of treats it is nice to have a rooster brave enough to try the treat first and then call your other chickens to have a taste. Why Shouldn`t You Have A Rooster In Your Flock? Well roosters are loud, like very loud – every chicken keeper knows this and gets used to that sound in time. But roosters can disturb your family or your neighbors when they are being loud early in the morning and that can cause some problems for you. This is one of the main reasons many backyard chicken keepers avoid having a rooster in their flock. 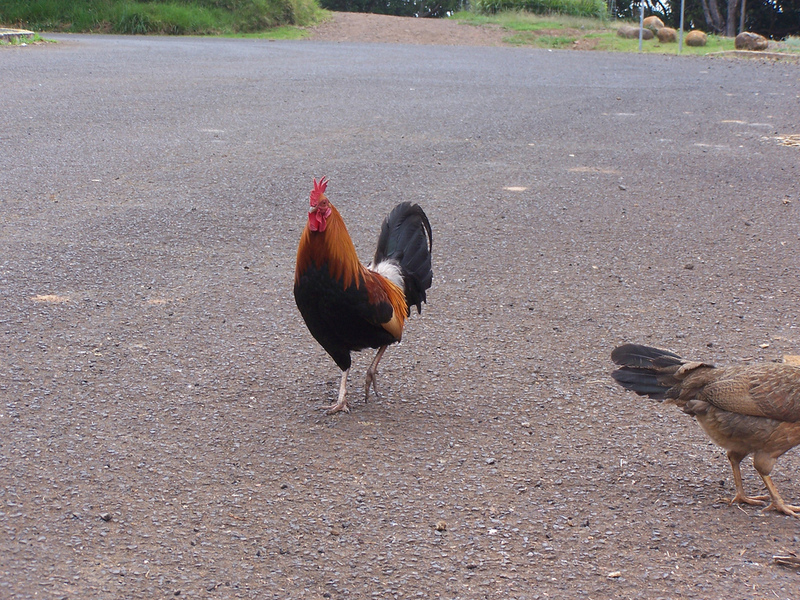 Roosters can be aggressive and bully the rest of their flock if not properly raised. Very proud beings roosters can be a great concern for the rest of your flock. If you do not have a particular need for a rooster to mate with your hens many will tell you to avoid having one in your flock. Roosters are known to challenge your authority and changing that behavior can take some time and patience. Roosters can fight with your other animals if they are not taught not to while they are still cockerels. That may not sound scary but roosters can be very dangerous and can peck out an eye of any domesticated or wild animal. Previous Article Killing The Summer Heat For Your Chickens! Next Article Do You Have An Egg Eater In Your Flock? Here`s How To Stop Them!